Thank you – you’re amazing! Thank you Mrs Lewis for having a Coffee Morning for Macmillan and paying in £223.96. We hope you and your guests at Wray School had a lovely day and enjoyed spending time together over a cup of coffee and some tasty treats. We’ll get straight to work using the money you’ve raised to help make sure no one faces cancer alone. From the moment they’re diagnosed, all the way through treatment and beyond. 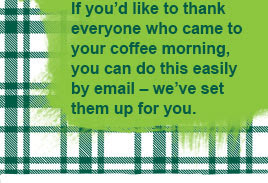 Look out for your special thank you from us which we’ll send through the post as soon as we’ve received your donation. Please allow up to 10 working days from paying your money in to receiving your thank you. If you encounter any problems or you do not receive your thank you in this time, please call us on 0845 602 1246. 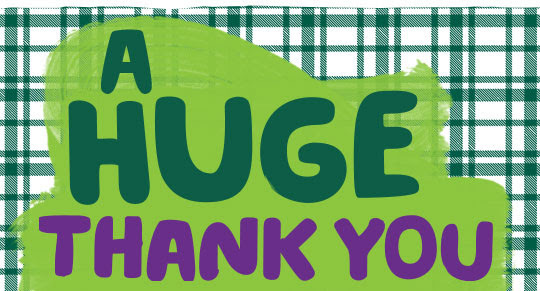 Find out more about Macmillan, and how your donation could help.